Jenny Doctor is Head of the Albino Gorno Memorial (CCM) Library and Associate Professor of Musicology in CCM. Her research in historical musicology has long focused on the dissemination of music on BBC radio, and current research also encompasses sound recording history and archiving, and American radio. 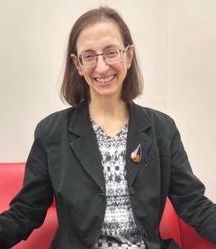 She is a Research Associate of the Radio Preservation Task Force, convened by the Library of Congress, and is currently the RPTF’s Grant Director. She has also researched and written on British music and composers of the twentieth-century, in particular Benjamin Britten, Elizabeth Maconchy, Grace Williams, Vaughan Williams, and Elgar, often investigating their relationships with the BBC and other modern sound technologies of their day. Her book publications include The BBC and Ultra-Modern Music, 1922–36 (Cambridge University Press, 1999), The Proms: A Social History, co-edited with David Wright and Nicholas Kenyon (Thames and Hudson, 2007), Silence, Music, Silent Music, co-edited with Nicky Losseff (Ashgate, 2007), and Watching Jazz: Encounters with Jazz on Screen, co-edited with Björn Heile and Peter Elsdon (Oxford University Press, 2013). Previous appointments include Commissioning Editor for Twentieth-Century Composers for The New Grove Dictionary of Music and Musicians (published in 2001, the foundation of Oxford Music Online), Director of the Britten–Pears Library in Aldeburgh, Suffolk, and Reader in Music at the University of York, all in the UK. She was also previously the Director of the Belfer Audio Archive and an Associate Professor in the S.I. Newhouse School of Public Communications, at Syracuse University. Prof Doctor received her PhD in Musicology from Northwestern University, after having conducted years of research in the UK. This included a year as a Fulbright Scholar pursuing dissertation research in London, affiliated with the Music Department at King’s College London under the supervision of Prof Arnold Whittall. She was later affiliated with St Hilda’s College, Oxford, where she archived and catalogued the music manuscripts of Elizabeth Maconchy, which are held in the College Library. PhD, Northwestern University, Evanston, IL (Musicology (Music History)).